While Vondom exhibits at Salone del Mobile Milan, which is currently in full swing, its most recent collections are also shown off in a campaign photographed by Xavi Gordo. 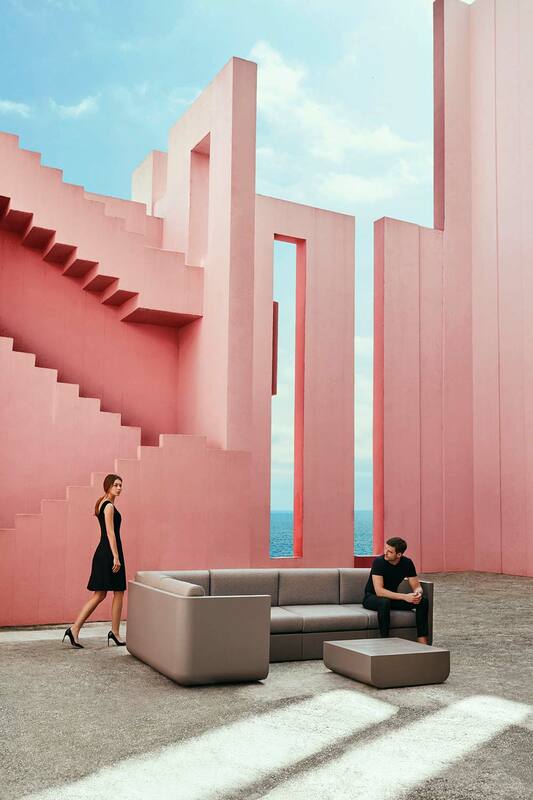 “Life is Magic” was shot at the fortress-like building of La Muralla Roja (The Red Wall) in Calpe, Spain. 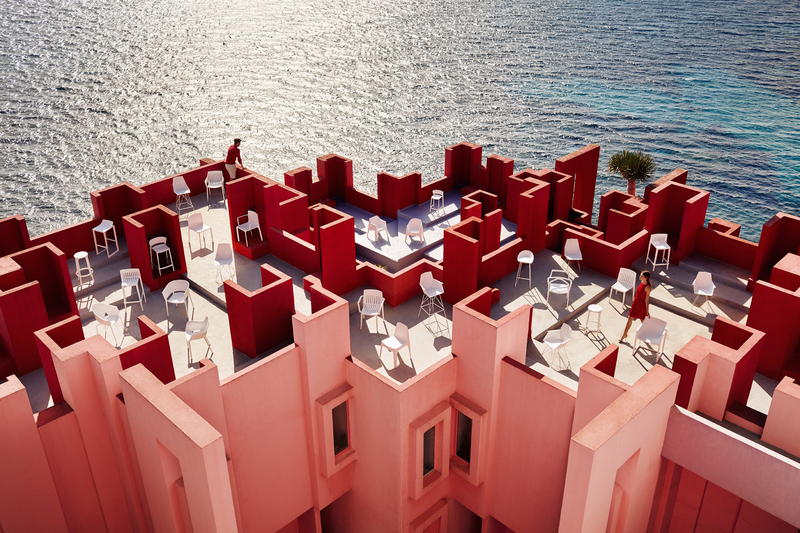 The geometric labyrinth designed by Ricardo Bofill in 1968 sits on the edge of the Mediterranean Sea where it’s painted in colours that evoke the water, earth and sky. 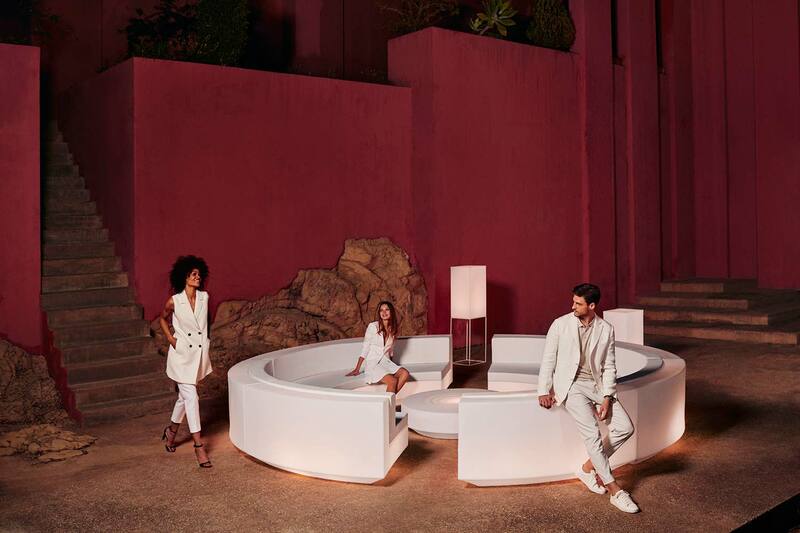 Set in this spectacular outdoor landscape, Vondom’s campaign captures the brand’s values of relaxed, fun and avant-garde, as well as the synergies between the furniture and the architecture. In some instances the chairs are as architectural as the building, and in other cases they seem as airy as the sky. 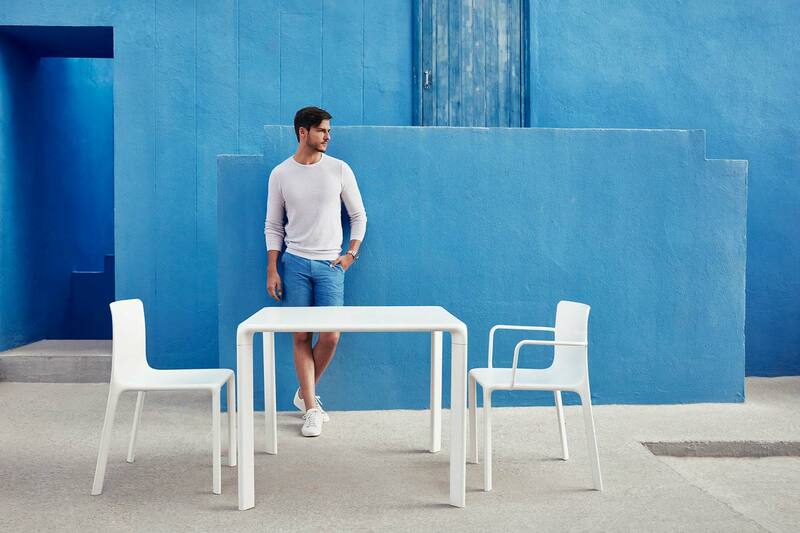 Similarly, the Spritz collection by Archirivolto has a fresh and simple design; Delta by Jorge Pensi has smooth organic curves; and Karim Rashid’s Voxel chair has faceted angles in all the right places. 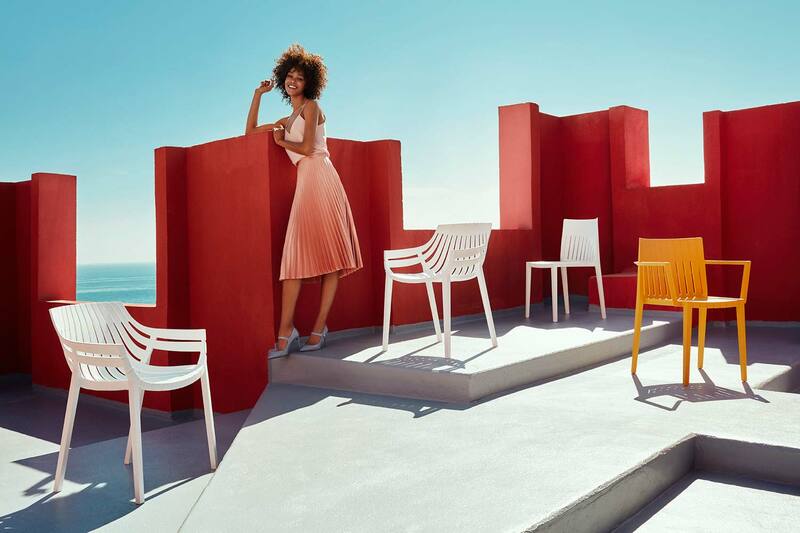 Vondom’s 2017 campaign invites us to dream about the magic of life outdoors and its furniture certainly helps us create that dream. Vondom is exhibiting in Hall 10, Stand D31 if you’re in Milan. If not, drop by our showroom and we’ll treat you to a little furniture magic of our own. Previous Post #KezuTakesMilan : Clues to Sancal’s Enigma collection Next Post M114 Tube Chair – a story of the beauty and the beast.